This is the perfect introduction to meditation and covers the five main types of meditative practice, including a series of exercises that will improve and enhance your meditative skills. The ancient practice of meditation affects both mind and body, providing ways to let go of stress and anxiety. Some people meditate because it is part of their spiritual practice, while others simply want to reap the renowned health benefits. Whatever your interest, this practical CD will help you develop inner peace, still your mind and focus on what you really want from life. 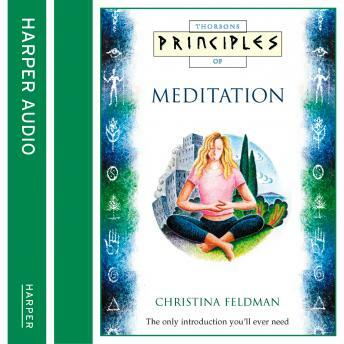 Christina Feldman leads you through the five main types of meditation, from mindfulness to visualisation. Using examples from a variety of traditions, she will help you develop your own meditation practice and bring a sense of calm to your busy modern life.